My So- Called Handmade Life: Butterfly Lace is "Tricky"
Tomorrow is the beginning of a Holla Knits knitalong for a pattern I've been dying to try- Nachtfalter by Stefanie Pollmeier. I'm only just now finding time to swatch, which means I'll not be washing and blocking the swatch, something I've vowed to do, and consistently not done, for a good year. 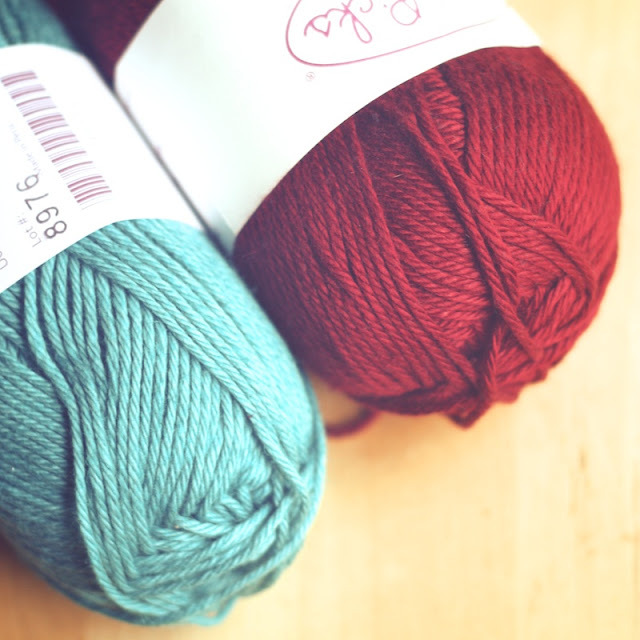 But I've learned a few things about my knitting that I hope will help me not fail too hard. I know that cotton and linen can stretch a little so if my top stretches more after blocking, I'm thinking it will only help with my long torso. I also know that even when I'm getting gauge, I usually like my ribbing a bit tighter, so knitting a 32" size to fit my ever changing hip/ waist measurements may help me get a nice fit in the ribbing even if it grows a bit with washing. Stefanie also mentioned in the Ravelry discussion that we should choose a size a bit under our actual waist measurement for a good fit. I am such a loose knitter that I almost always choose a size below what I think I need because it ends up fitting perfectly. Choosing a 32" top gives me a little leeway if my gauge loosens up as I work. 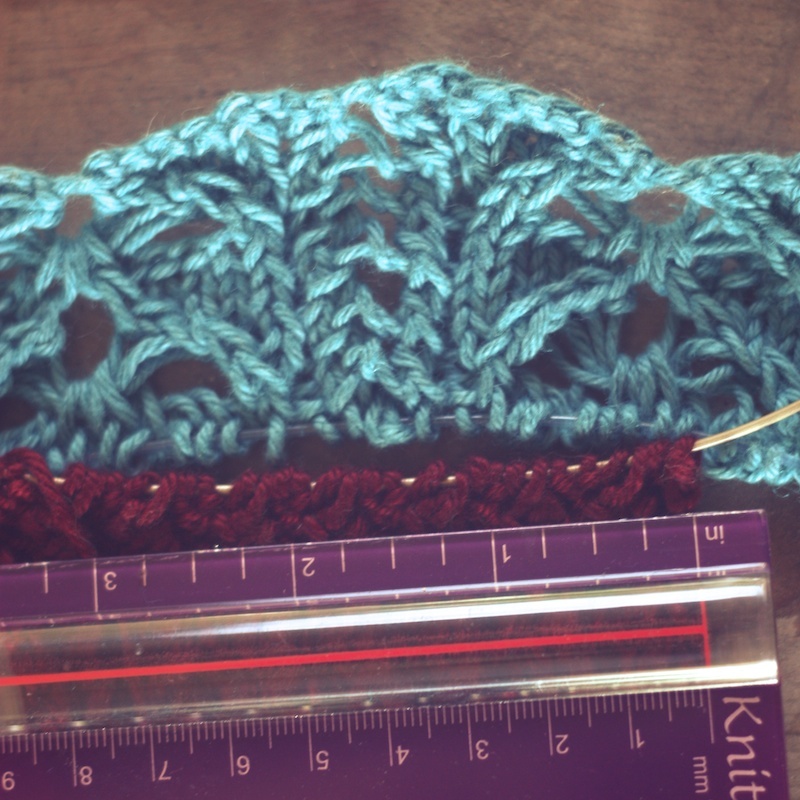 But I did actually get gauge this time with needles sized 0 for the ribbing and 2 on the lace. See how I copied the colors from one of the pattern samples? 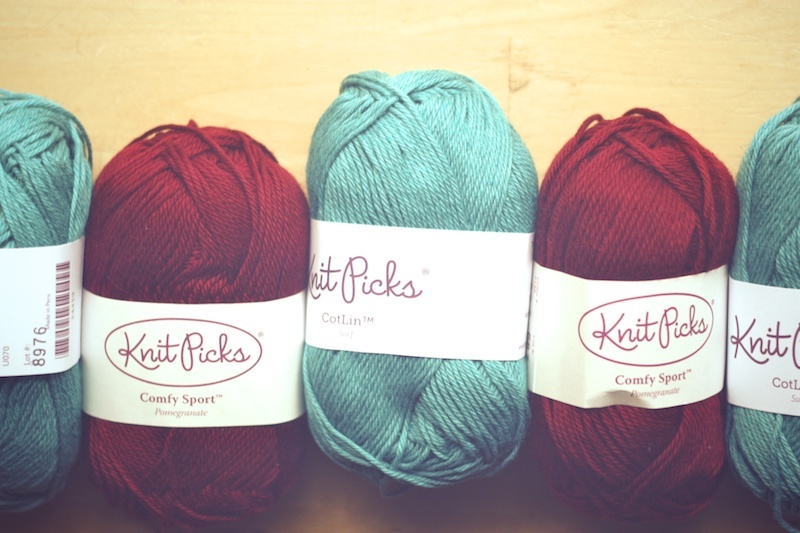 I found the combination of a shade like pomegranate with a color I'm always drawn to (Knit Picks Surf), so contrary to my normal tastes that I had to use them. They really work well together! 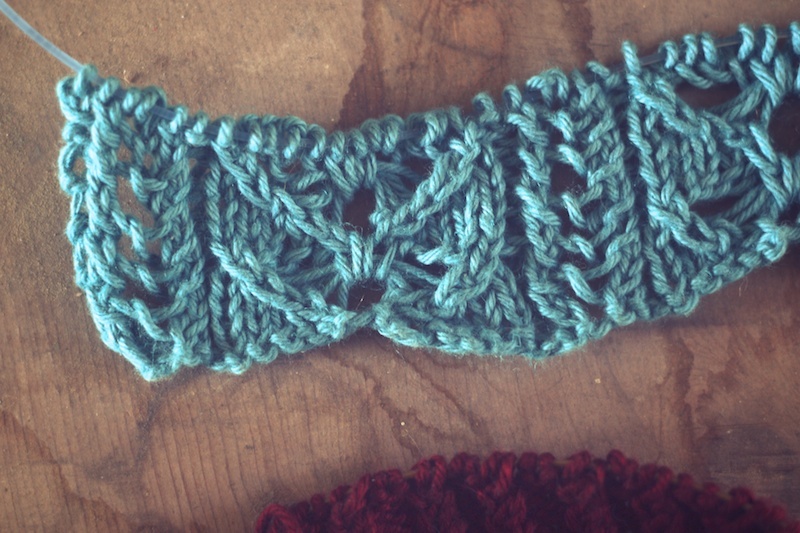 This butterfly lace is hard... in a good way. 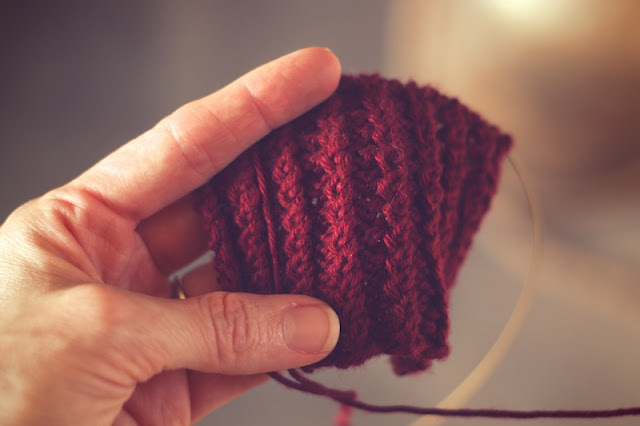 One of the goals of Holla Knits collections is to make patterns that are not just wearable, but also interesting to work on. I can't remember the last time I called a technique hard. I usually use euphemisms like "challenging" and "tricky" to say "somewhat difficult." I don't know if it's the busyness of the school year ending or what but I found this little lace swatch straight up hard, which makes me want to start on it all the more. I likes me a challenge. 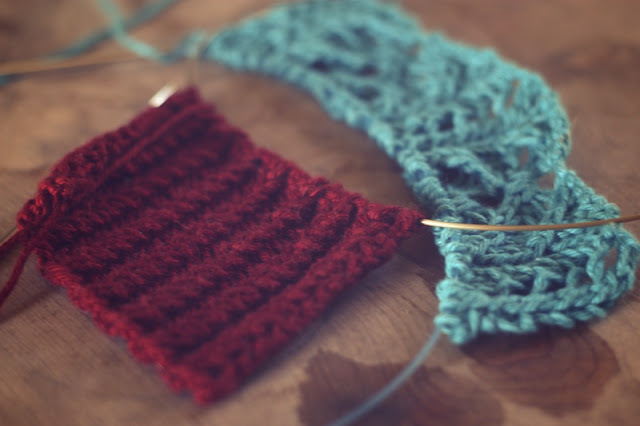 If you are going to do this, check out Stefanie's tips on wrapping your mind around this lace pattern. The tangled, messy swatches still on the needles are proof of the hectic month I've had. I'm coasting from that crazy wave straight into this knitalong and trusting that things in my life will settle down enough so I can focus on this lace work. You're braver than me in choosing your colors ~ i love them. Me? Going with pomegranate all the way. 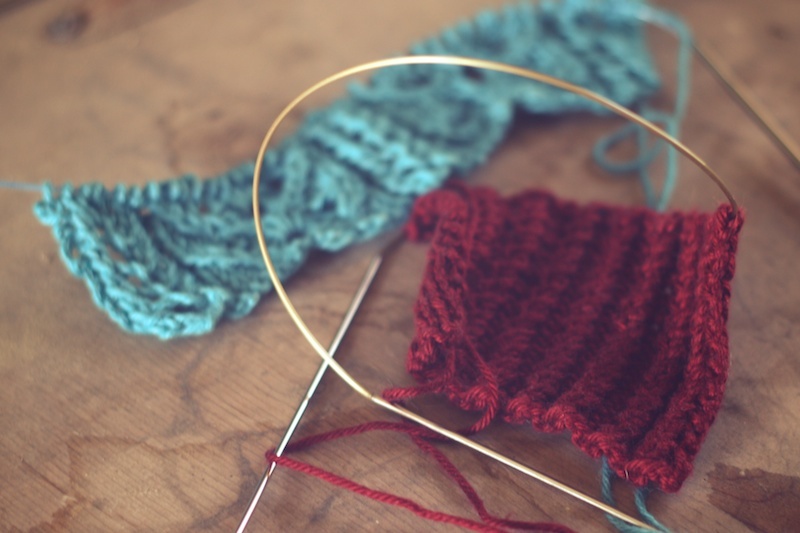 I agree that the butterfly stitch pattern is going to challenge me in the best way! So excited that it's cast on day! Pomegranate on the lace will look so classy! I wouldnt have tried such a bold color combo if i hadnt seen the two knit up together. Im excited to start to! I've worked about an inch of the cable rib and love it.